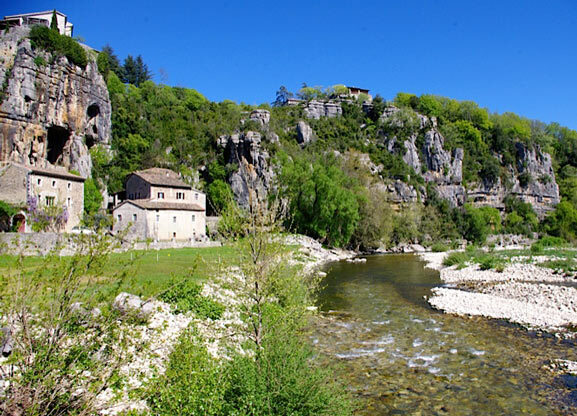 Labeaume is a lovely characteristic Ardeche village huddled against rocky limestone cliffs. It is bounded by 3 rivers – La Beaume, La Ligne & l’Ardeche. Not to be missed – The Hanging Gardens of Labeaume; very impressive. Each Summer the village stages a prestigious festival of classical music – a feast for your eyes and ears!